Andrey Avgust reimagines US dollar bills as vertical designs « Adafruit Industries – Makers, hackers, artists, designers and engineers! Awesome concept + execution from artist Andrey Avgust, via dezeen. Belarusian designer Andrey Avgust has turned American banknotes 90 degrees and created graphics for the new format, in this conceptual take on the country’s currency. 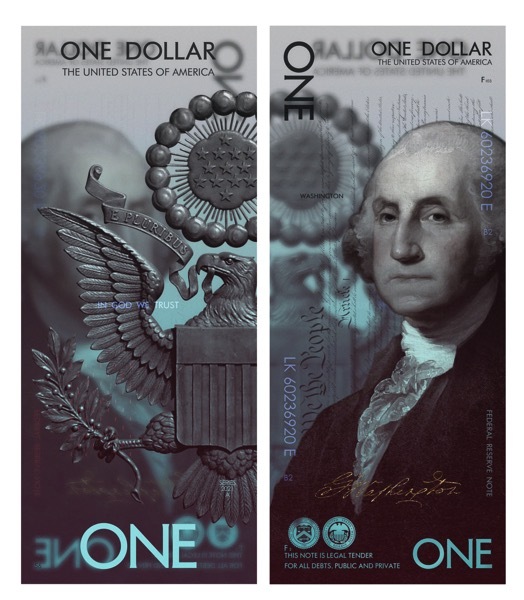 Avgust’s project sees the country’s one, five, 10, 20, 50, and 100 dollar bills imagined as boldly coloured polymer banknotes.